There’s no question about it, 2018 was a musical behemoth. It felt like every week a new project was being dropped on our laps. 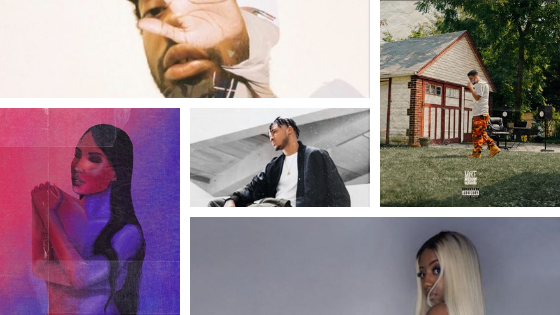 Heavyweights like Drake, Kanye, and Meek Mill all released albums last year but that didn’t stop the independent acts from dropping their gems as well. Question is, have you heard them? We may have already closed the curtains on 2018 and began our journey with 2019 but here a a list of projects you should definitely hear to make the year that much sweeter. After the successful 2017 release of his solo debut album Sondon Son, Brent Fraiyaz returns with another project titled Lost to give his fans more experimental medleys laced with messaging of life and its transitions. This Queens, New York rapper displays the depth of his penmanship and his artistic versatility as he effortlessly pairs contemporary and classic styles that keep you on your toes from start to finish. Singer and beauty enthusiast Symphani Soto knocks it out the park with her sensuous vocal arrangements and unique selection of instrumentals. This singer magically fuses her raw talent and delivers in a project you shouldn’t let pass you by. This singer songwriter will charm her way into your heart with her mesmerizing vocal range and her heartfelt expressions of love and love withdrawals on No Hard Feelings. You’ll find yourself rewinding songs from this New Jersey powerhouse singer. The adoration and tenderness that floods his tracks is enough to make you want to sing along. Favorite Tracks: "Perfect Timing", "Better Than Before", "Doing It For Me"
Start the year off with a bang and let us know which project you fell in love with. Till next time!